It's ACBW. Where are the events in DC? Now, there may be many pubs, restaurants, stores, and breweries in Washington, D.C., that are celebrating American Craft Beer Week this week. And, there may be some posting their calendars to Facebook, Twitter, and their own websites: things such as Happy Hour pricing on draft American craft' beers. 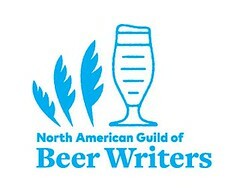 But, not one has listed an event for today to the national American Craft Beer Week website. American Craft Beer Week is a nationwide celebration of 'craft' breweries, of the pubs and stores that serve their beers, and of and for the drinkers and consumers nationwide that enjoy and purchase their beers. A beer tourist looking at the national website would be unfortunately underwhelmed by the beer culture in the Nations's Capital. Since that is not so, that would be a shame. The Washington Post's Going Out Gurus yesterday published a short list of events, and so has website DC Beer, with a larger list, but the question still stands: why not, with the click of a mouse, alert the world to your event at the ACBW website? Neighboring Maryland and Virginia fare better, where several pubs, breweries, and other locations took the time to post their events. 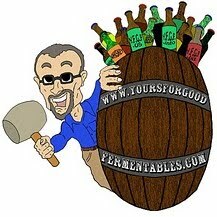 All this week, I'll be posting on topics of American 'craft' beer and/or searching out local beer. Local to me is the greater Washington, D.C. metropolitan area, and the states of Virginia and Maryland. Yesterday, it was Batch 100 at Mad Fox Brewing Company, a brewpub in Falls Church, Virginia. Batch 100 is a strong dark ale, the 100th batch (naturally!) of beer brewed at the brewpub, fermented from a starting gravity of 100 brewers points (get it? ), with Centennial hops (get it? ), calculated at 100 IBUs (get it? ), and then aged 6 months in an Evan Williams bourbon barrel. The beer is indeed dark with a strong bourbon nose, flavor, and alcohol presence, and with a dark fruit flavor like plums. The beer is indeed strong: the brewers estimate the alcohol by volume to be in excess of 12%. The brewery will tap two kegs for American Craft Beer Week, and reserve the remainder for aging. I don't really think it means anything that DC as a beer scene doesn't use the national website. Recently awarded Beer Cities USA Asheville and Grand Rapids both have little to no events on the national website either. Does that make them less of beer citites? I doubt it. I just think the cities (as our DC) use more local means of getting events out to the public. DCBeer.com as well as many of the other DC-centric blogs/sites have put up events all over. Sure, it doesn't necessarily cater to tourists coming in, but any tourist here simply has to ask "Where do you find local information about beer?" and would be lead to a number of sites that would tell them all the goings on in the city for ACBW. And for what its worth: I didn't even realize their was a national site. I wouldn't bother looking to a national site for local events as more often then not they miss the little (but possible fantastic) ones. But that could be just me. As always, thanks for the great coverage. This site is an asset to our scene and is always an enjoyable read. Keeping it cool: thinking outside the cellar. DC Brewers Kick the Keg! Happy Mother's Day ... singular. Casks at the Maryland Craft Beer Festival!